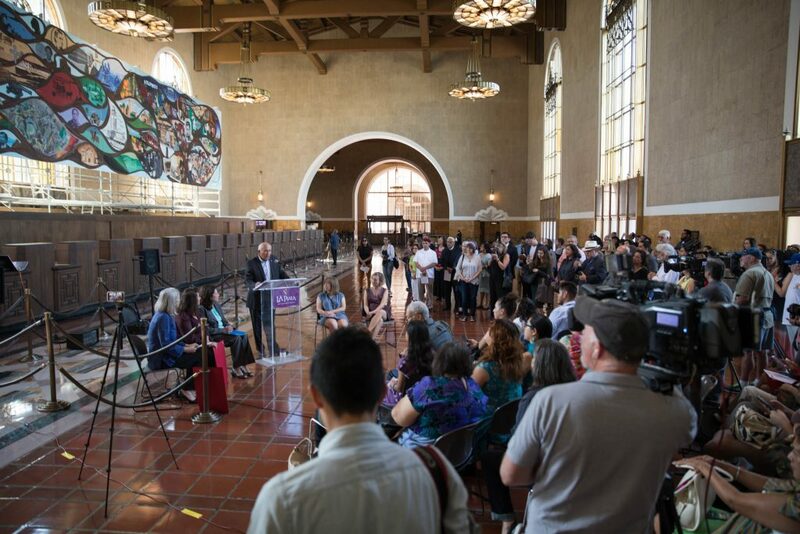 Images and words from the launch of L.A. History: A Mexican Perspective at Union Station – ¡Murales Rebeldes! Barbara Carrasco with “L.A. History: A Mexican Perspective” (1981), Union Station 2017. Photo by Javier Guillen/LA Plaza de Cultura y Artes. 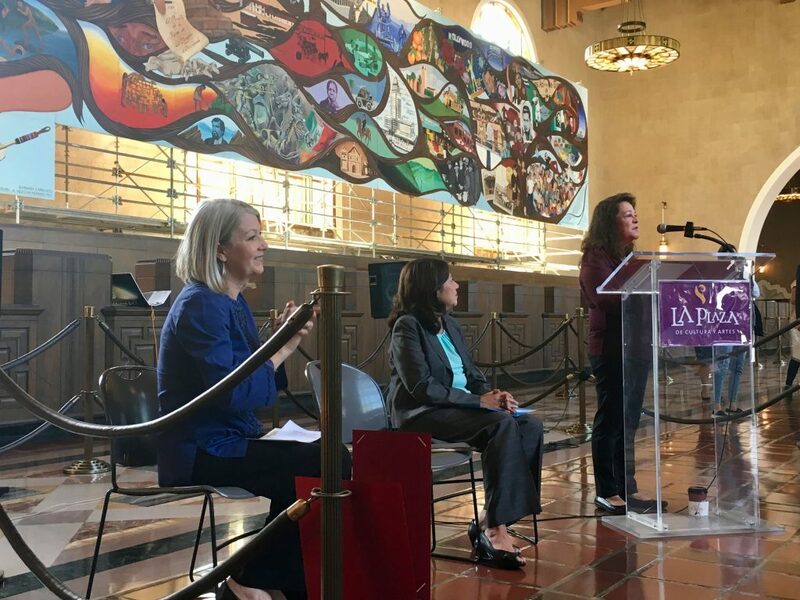 Dr. Anthea Hartig, CEO and Executive Director of CHS, speaking in front of Barbara Carrasco’s “L.A. History: A Mexican Perspective” (1981). The crowd watching the official unveiling of Barbara Carrasco’s “L.A. 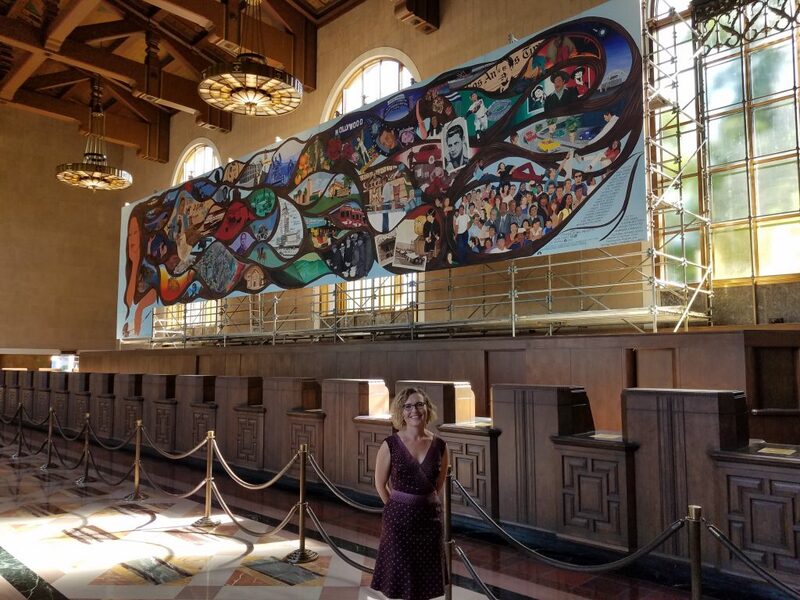 History: A Mexican Perspective” (1981), Union Station 2017. 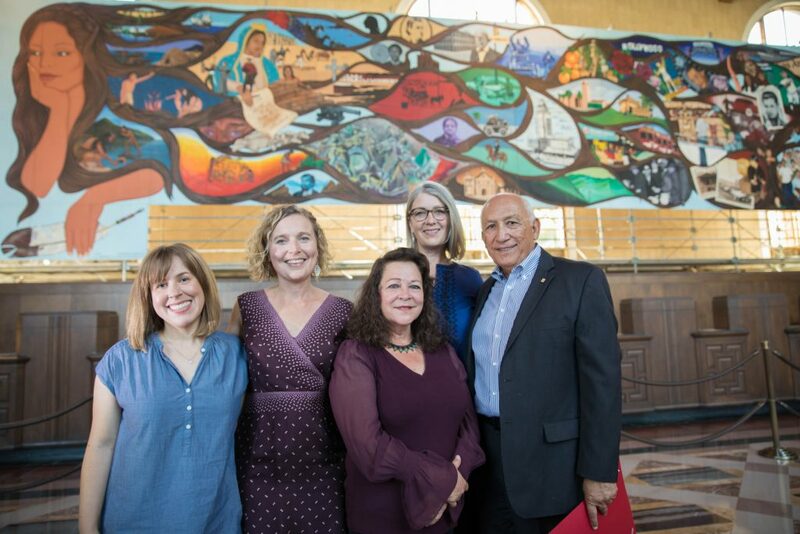 Erin Curtis (senior curator at LA Plaza de Cultura y Artes), Jessica Hough (director of exhibitions at California Historical Society), muralist Barbara Carrasco, Anthea Hartig (Executive Director and CEO, California Historical Society) and John Echeveste (CEO at LA Plaza de Cultura y Artes). Photo by Javier Guillen/LA Plaza de Cultura y Artes. 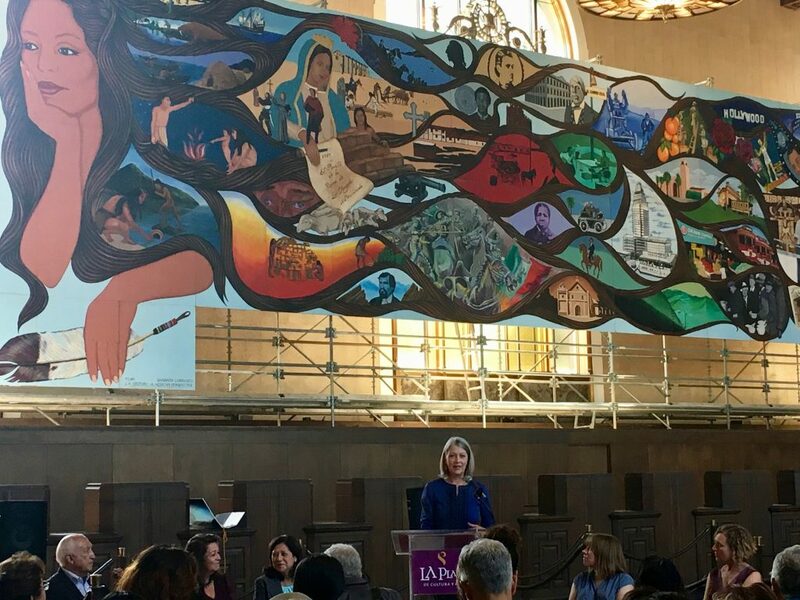 I’m delighted that you are here today as we reintroduce Barbara Carrasco’s remarkable mural—LA History: A Mexican Perspective. 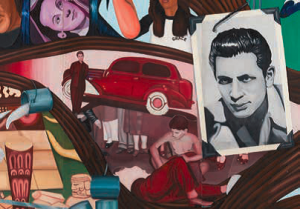 During the research for our exhibition Murales Rebeldes: LA Chicano Murals Under Siege we learned of so many Chicano murals lost to time. But this mural has a different story. 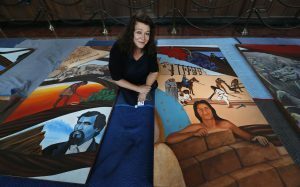 After being censored by the CRA, Barbara stored her mural safely away awaiting a time when it could be brought to the public again. Its 43 panels, each one wrapped in plastic, sat preserved so that today we see it looking much the way it must have on the day it was completed in 1981. 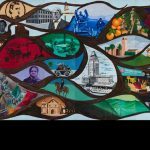 When I learned that this mural was intact I knew we had to bring it back into public view. If not now, then when? 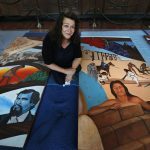 Artists like Barbara, who made murals as part of a broader Chicano movement that aimed to both reflect their own experiences and also imagine an empowered future, have not had their work properly documented, collected, or incorporated into the art history of our city and our nation. This particular work has barely seen the light of day. Today we secure it a much deserved place. 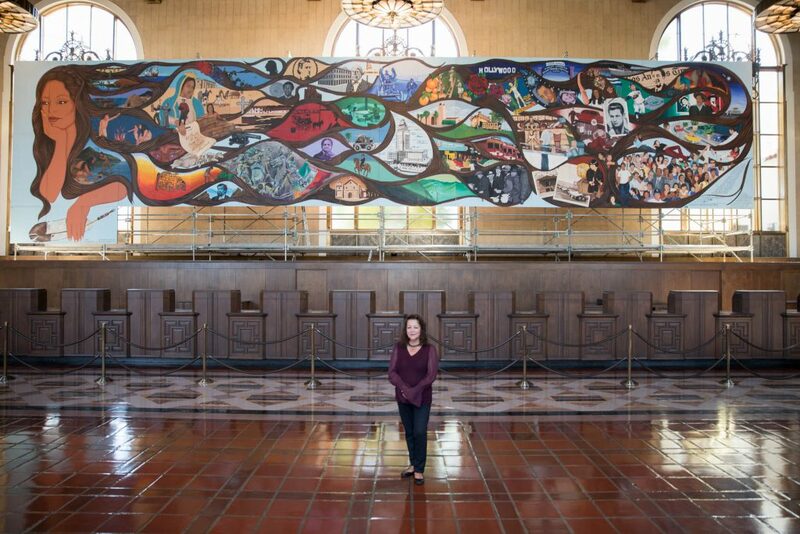 This ambitious and stunning work of art memorializes our history with both the devastating failures and the heroic triumphs that define humanity. Carrasco’s Reina de Los Angeles wears our history in the locks of her hair – she is not ashamed, she is not weakened by the truth… she is conscious. 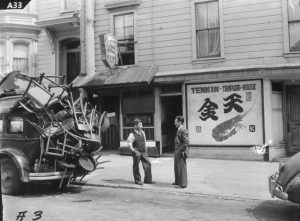 At the California Historical Society, our mission is to shine a light on California’s richly diverse past so that it might help guide us to a brighter, smarter, and more just future. Barbara has done this so eloquently with her mural.